Springtime in San Diego can bring bright colors, sunny skies and a lot of outdoor time with loved ones. Spending time outside is made even more enjoyable when you can do it at your own home, for those days you just don’t want to leave the house to head to the park, beach or hiking trail. 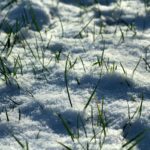 As you move from the winter season into the spring, you may be seeing the effects of winter receding for your lawn and the grass starting to fill in. Take a look at these five tips to help you get started with your spring lawn care needs this year. Get your yard ready for the busy spring and summer season, when it’s going to see a lot of action, by fertilizing it. A healthy dose of a fertilizer can give your lawn the nutrients it needs to get started. If you don’t know what is lacking, have a soil test done to see if it needs more of any specific nutrient, like nitrogen, to help it grow. Even if you’ve had a little bit of rain this year, you should still get your yard on a regular watering schedule. Once it starts growing in the spring, it will need good watering to develop strong roots. Water regularly in the morning to reduce evaporation and use water-efficient methods like drip irrigation, high-efficiency nozzles, and soil moisture sensors to further improve water use. 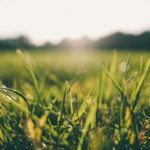 You should take care when mowing to avoid causing any additional stress to the yard that the drought and heat may already be causing. 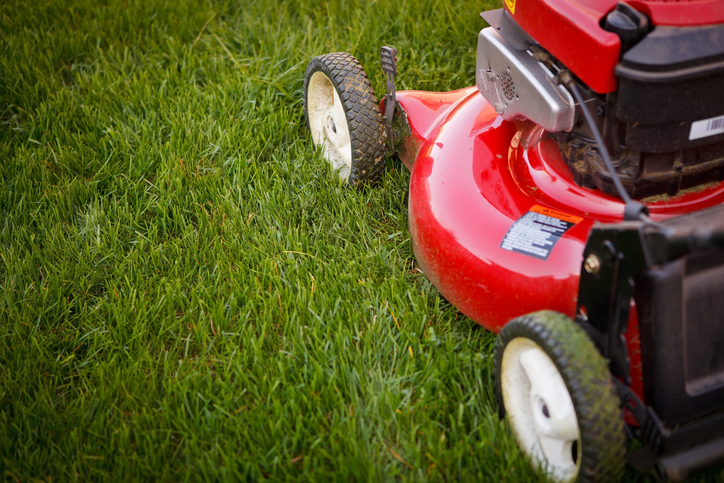 Prep your lawn mower each spring by sharpening the blades so you don’t shred the top of the leaf. Don’t mow too much off the top of the grass blade. Don’t mow too often. One way you can ensure you are mowing correctly is understanding your grass’s needs: mowing height can tell you a lot. Once you know the mowing height, abide by the one-third rule, where you only mow one-third of the grass’s height. 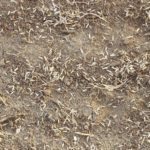 If the soil is compacted from a rough winter, you may need to aerate the yard. This creates holes throughout the lawn. By doing this, you’ll be allowing air, water, nutrients, and seed down into the soil. You can use a plug or spike aerator (that you can rent or buy) to help you prepare your lawn for a successful spring. Weeds can pop up at any time of the year, but by applying a pre-emergent herbicide in the spring, you can reduce the chances of spending the rest of the year finding dandelions and crabgrass throughout your yard. Pre-emergent herbicides, when applied early in the spring, can kill weed seeds before they have a chance to grow. These five tips give you a strong foundation for spring lawn care. You can get more help by visiting our San Diego lawn care page to get in touch with a professional.